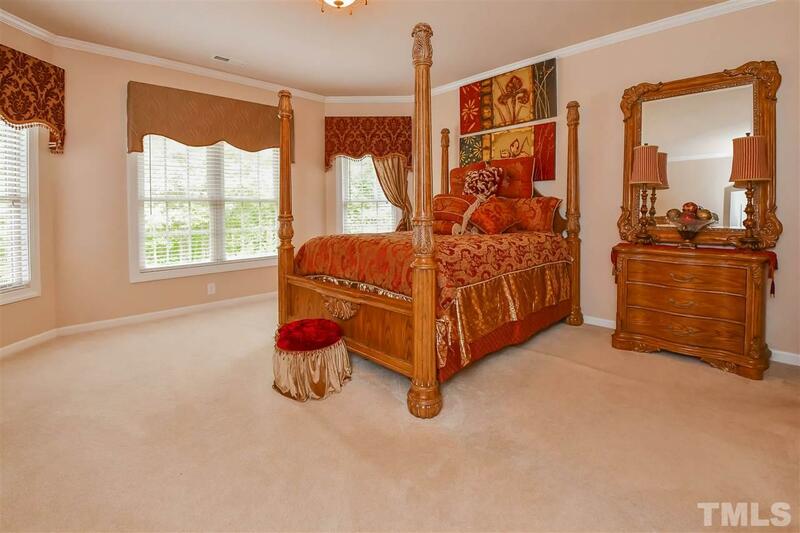 1st Bedroom 15'4" x 27'1"
Dining Room 12'3" x 19'11"
Eating Room 13'6" x 14'7"
Family Room 23'9" x 21'5"
Living Room 18'5" x 22'4"
3rd Bedroom 12'10" x 16'0"
4th Bedroom 11'3" x 17'4"
Bonus Room 17'11" x 22'4"
5th Bedroom 13'4" x 16'3"
Luxury Living on a 2.63 Acre Private Lot just minutes away from both Parkside Commons in Cary & Southpoint in Durham. 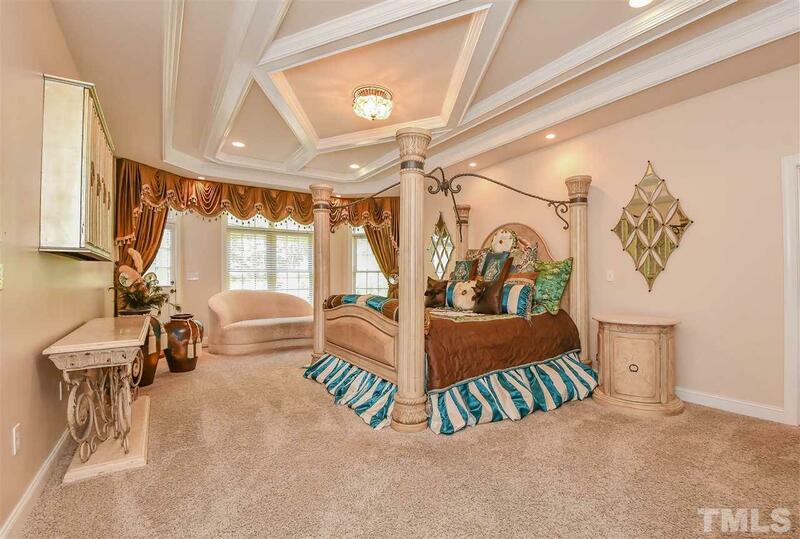 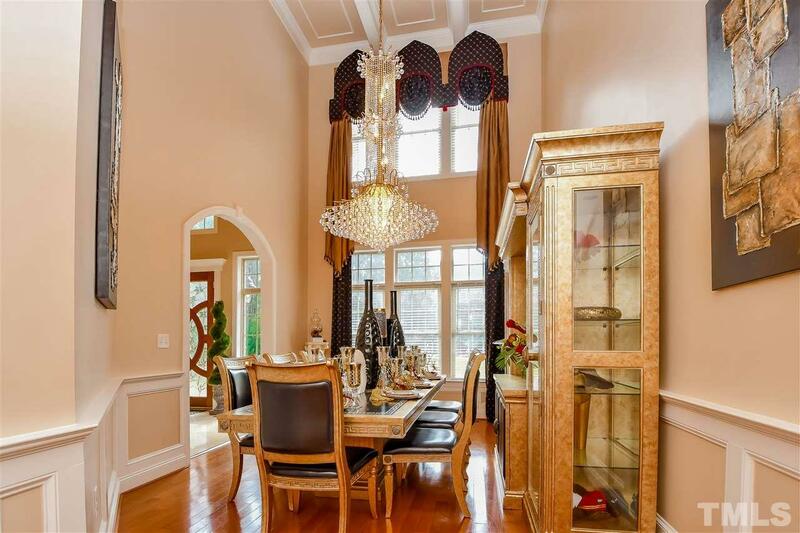 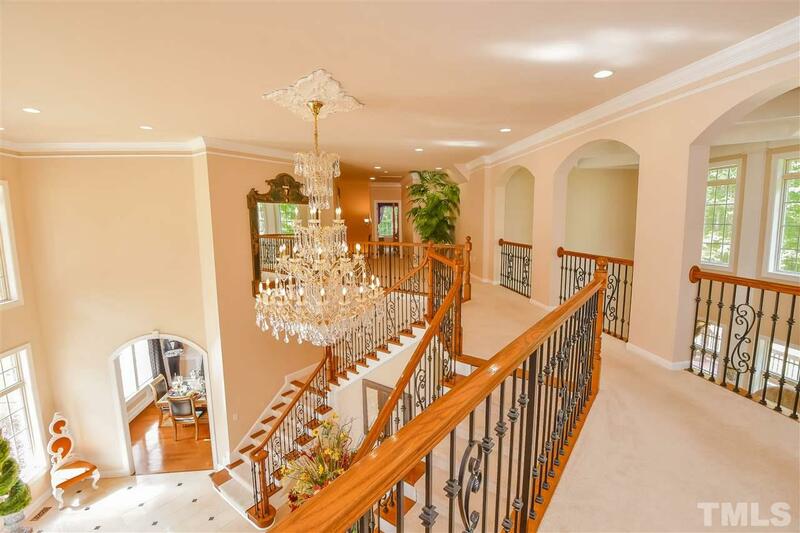 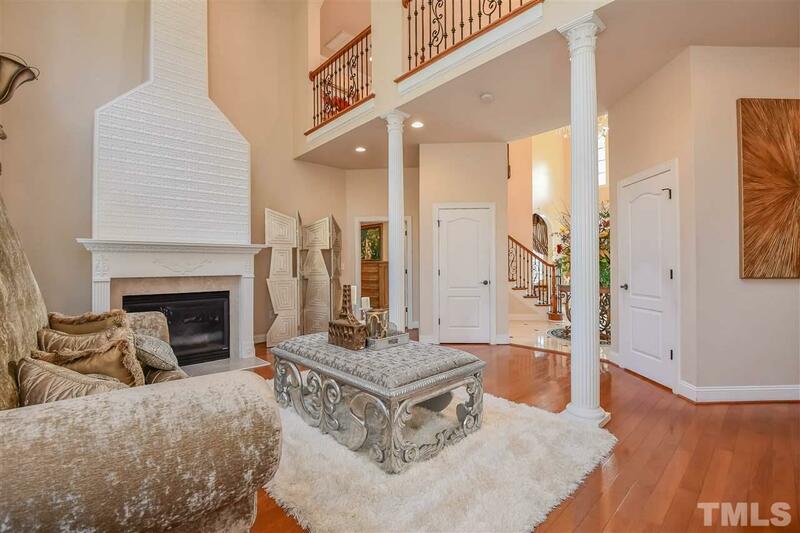 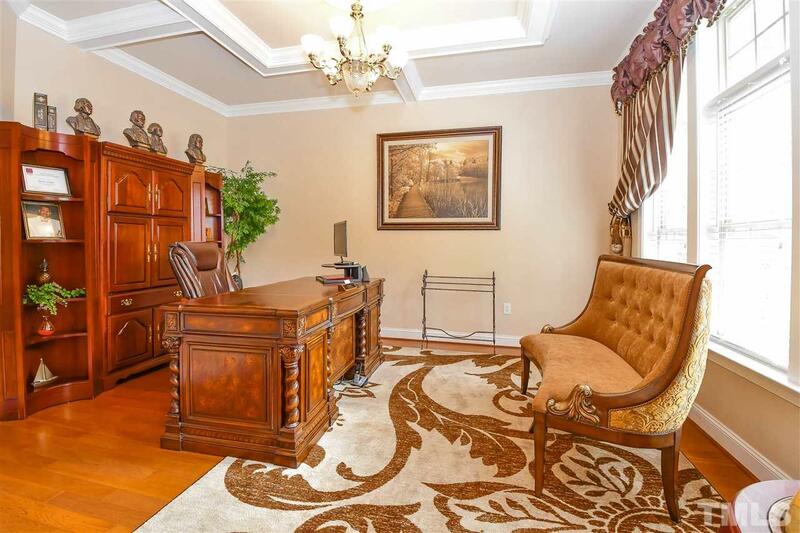 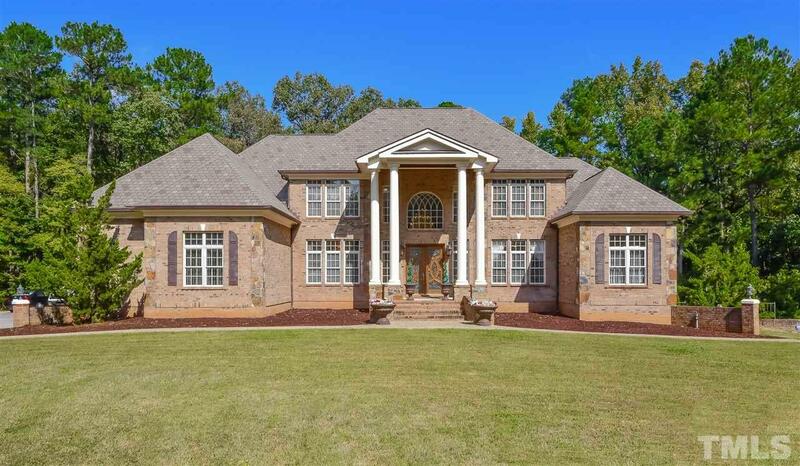 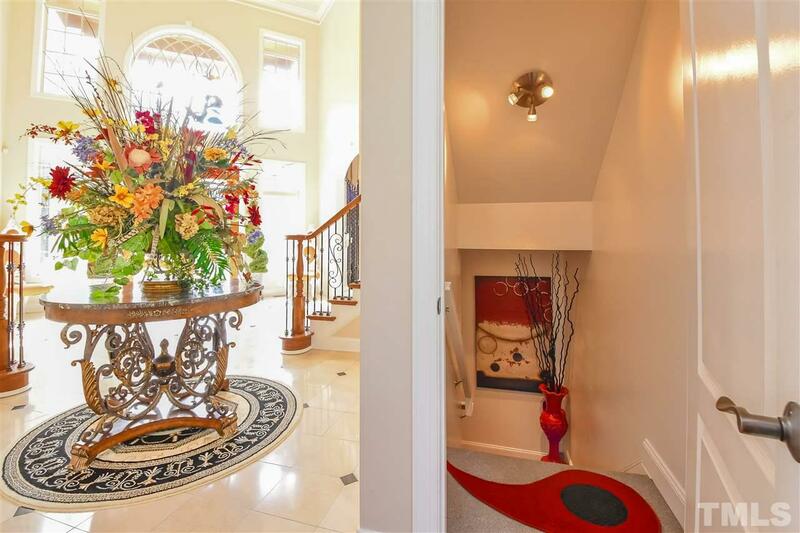 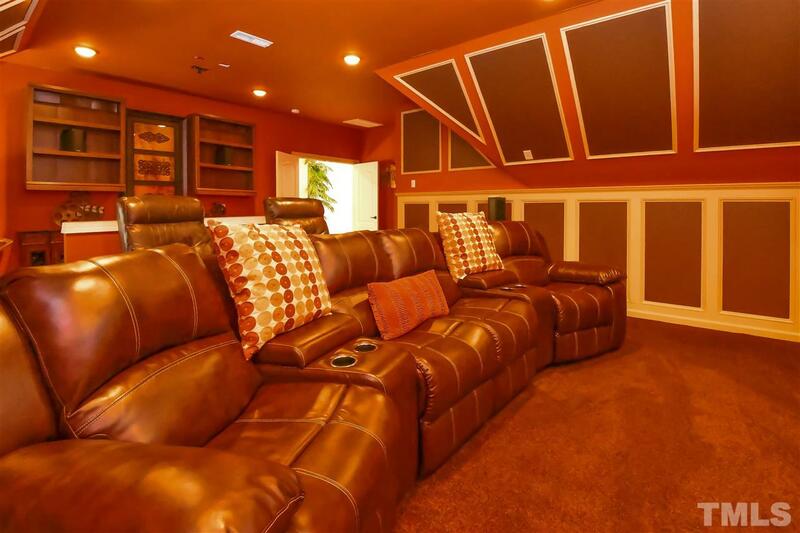 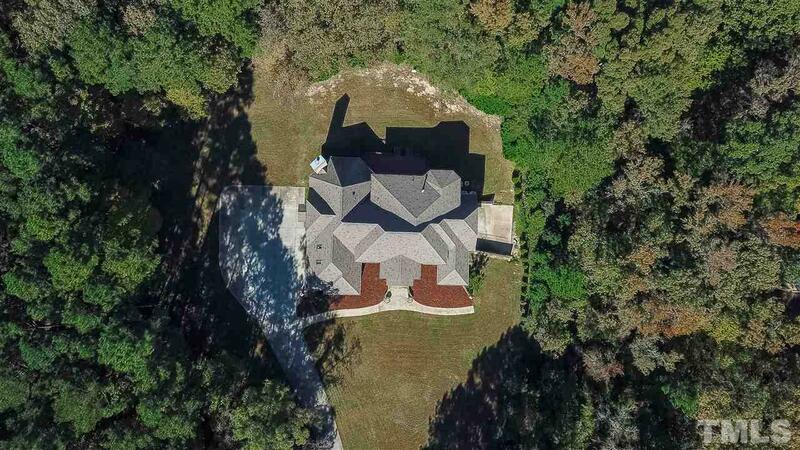 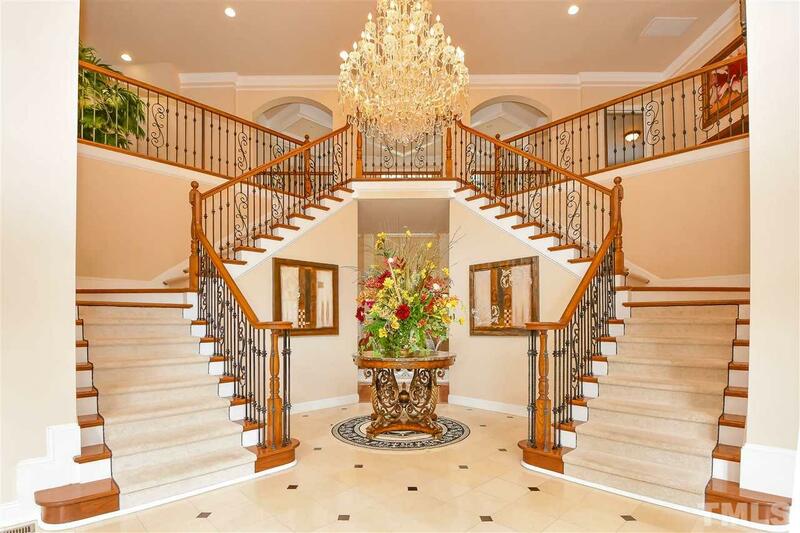 This gorgeous estate has quality throughout that includes: Marble Foyer Entryway, Elaborate Coffered Ceilings, 5 Bedrooms (each with its own full bath), a Finished Basement, Theater Room, & Third Floor Bonus Room. 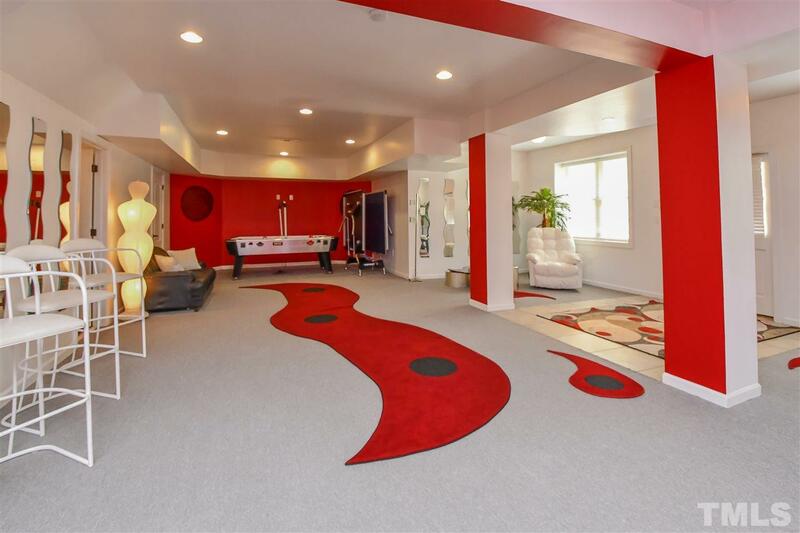 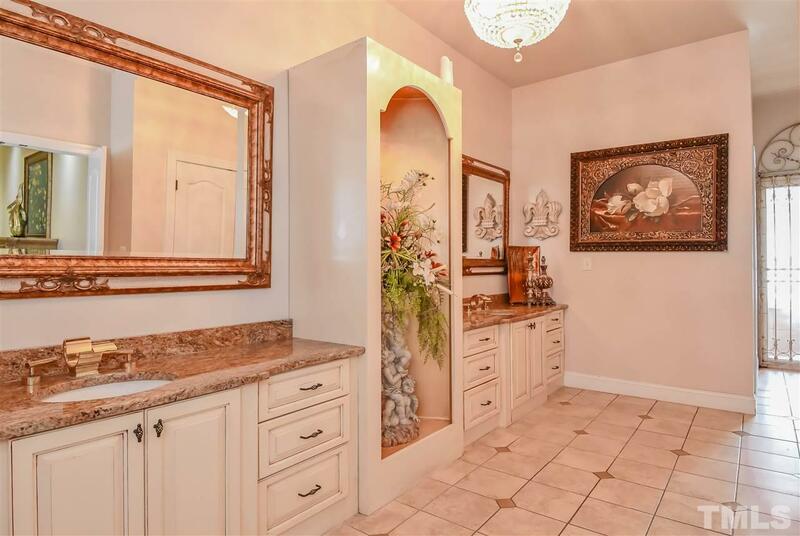 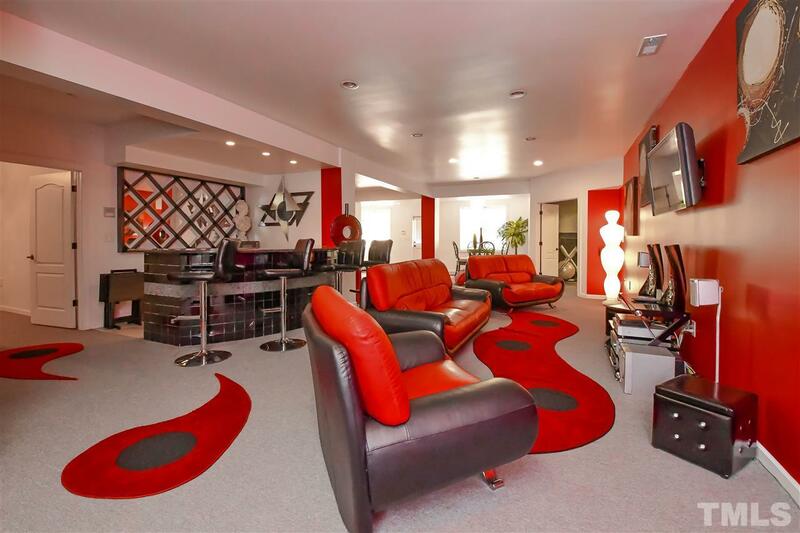 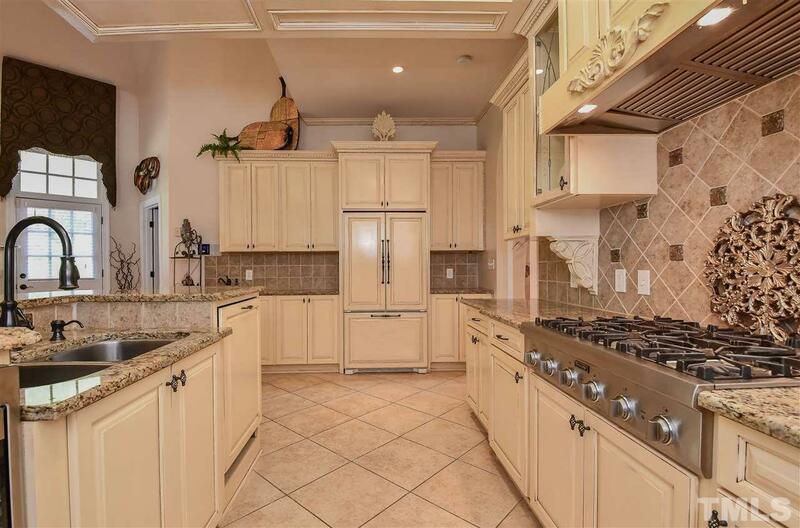 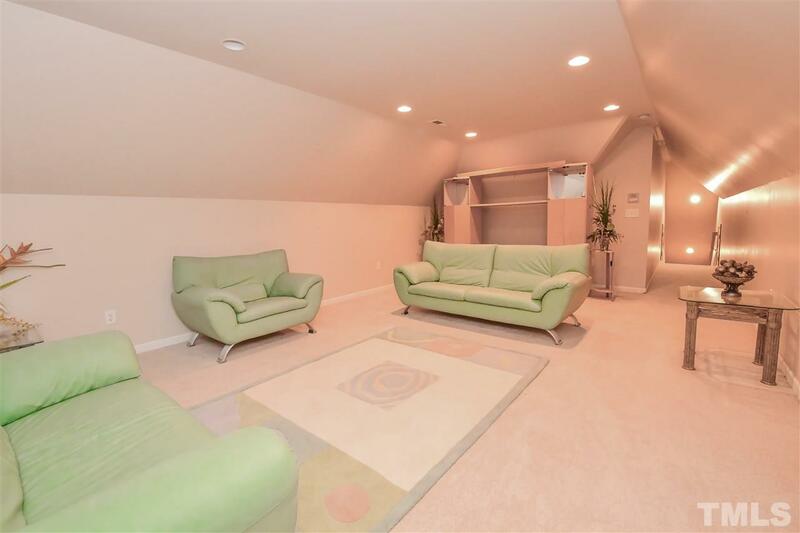 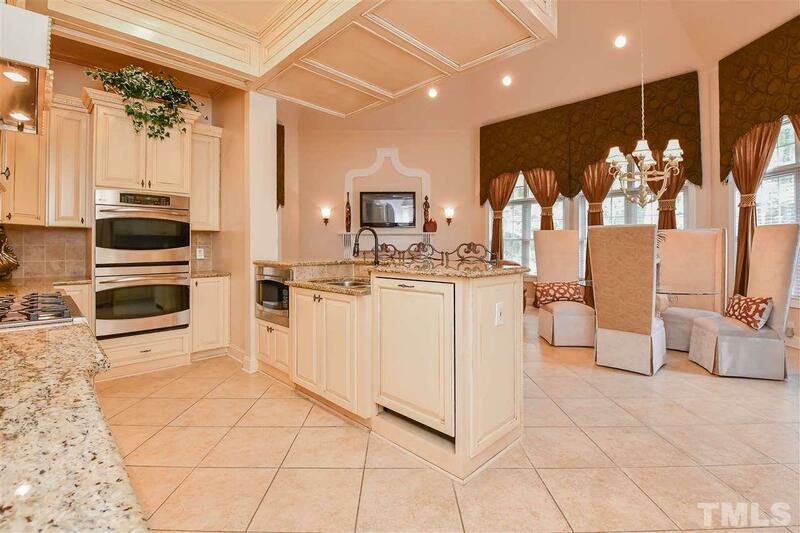 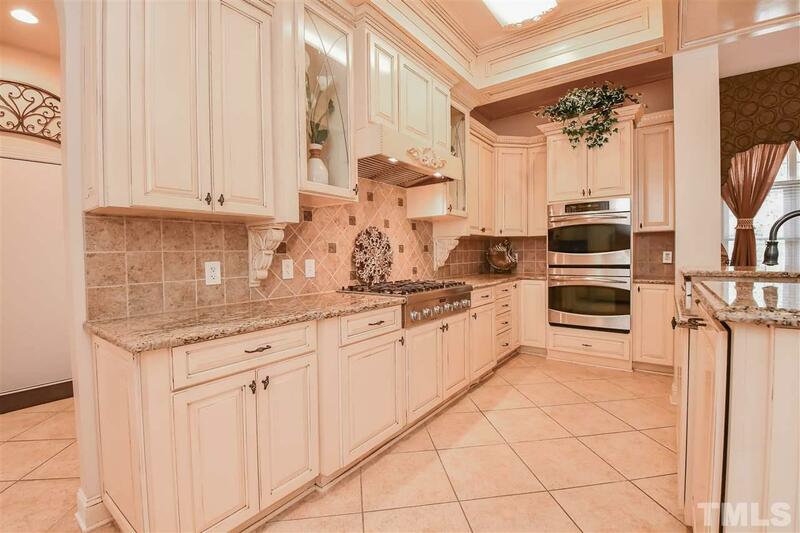 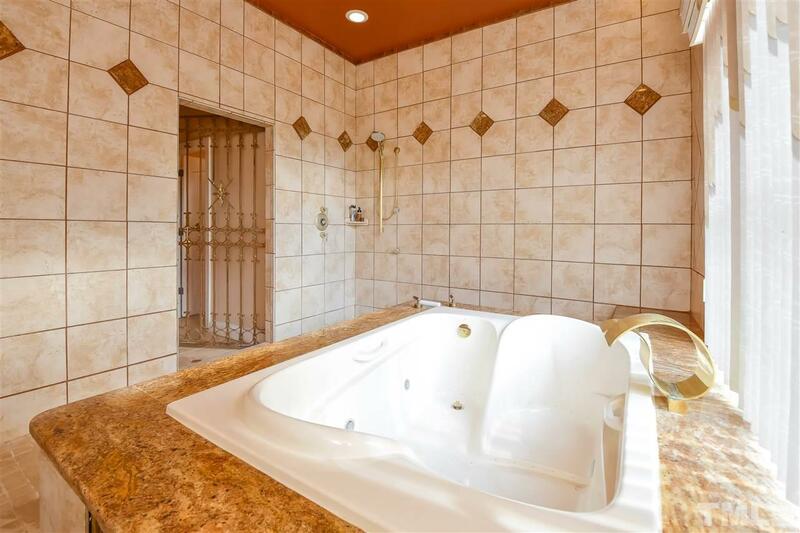 1st Floor Master accompanied by a complete Spa Room with Jacuzzi Tub & Walk-Around Shower. 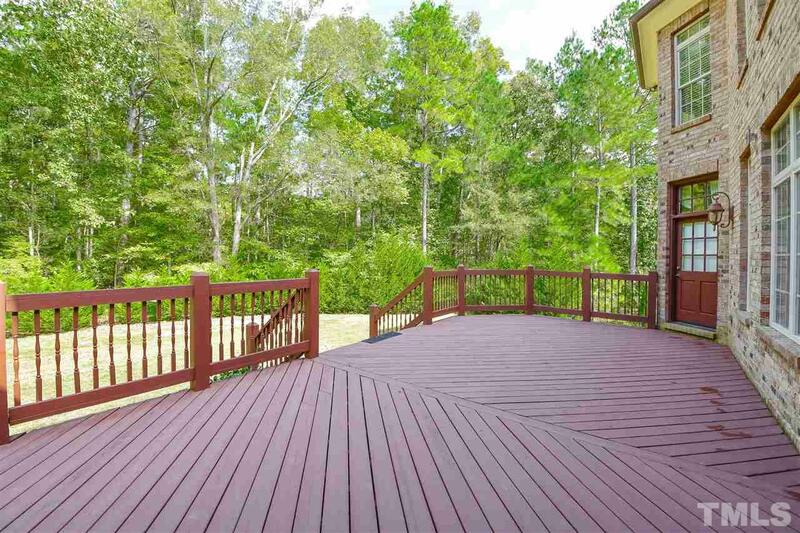 Expansive Deck & Landscaped Grounds. 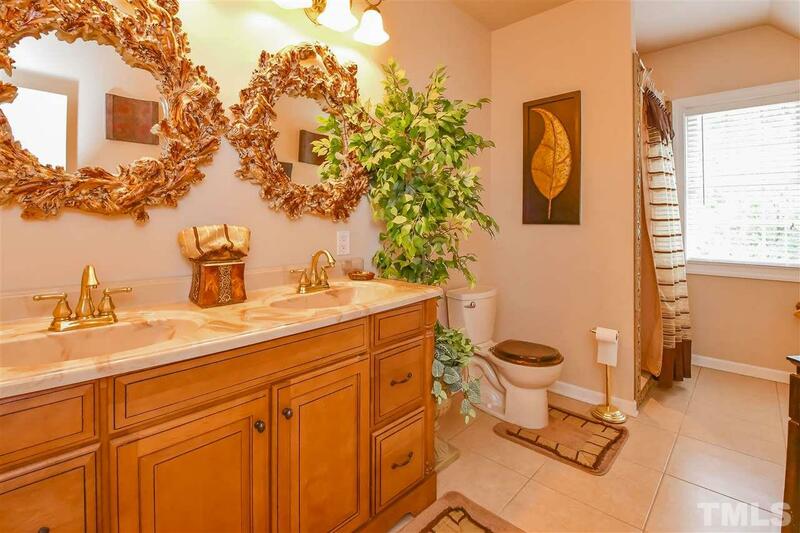 1 Yr Home Warranty included. 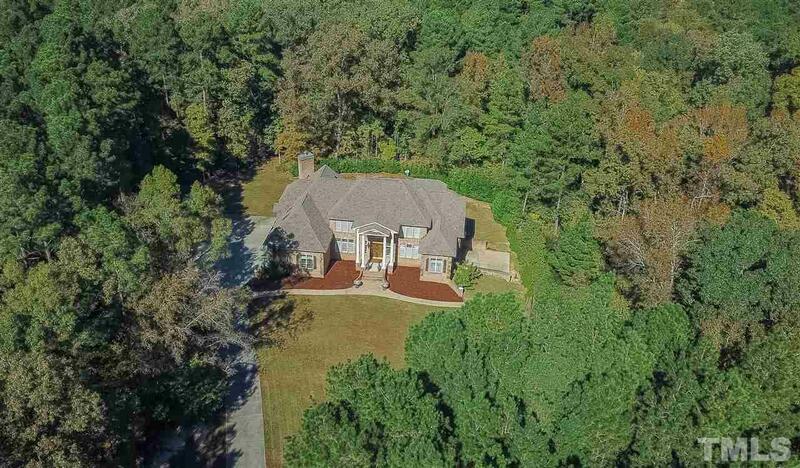 I am interested in 8133 Wake Road, Durham, NC 27713.